From the first ever Agile Adventure to be created! Get your copy from Leanpub here. Journey on your own or go on an adventure and read it with your team and your friends. Most important of all, have fun! 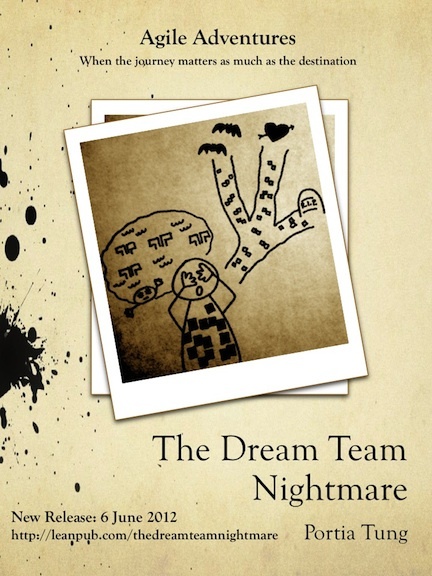 The entry 'New Release: The Dream Team Nightmare' was posted on June 6th, 2012 at 9:16 am	and is filed under Agile Adventures. You can follow any responses to this entry through the RSS 2.0 feed. You can leave a response, or trackback from your own site. « Are you ready for an Agile Adventure?